Beach Condo Developments – On The Right Track? Home » Blog » Beach Condo Developments – On The Right Track? Apart from the transformation of the master-planned community at the former Woodbine racetrack, the Beach has not experienced rapid infill growth, due in part to the shortage of available land, but also because of vocal neighbourhood associations and stringent city planning guidelines. And the condo projects that have risen here and there on main streets are barely noticeable — generally no taller than six storeys, and stepped back so they don’t tower over the street. Developers have been successful with Beach House Lofts, Academy Lane Lofts, Waterworks Lofts, GreenHouse Lofts and Hammersmith Lofts on Queen Street. Along Kingston Road, there’s Modern Beach Lofts at No. 952 and North Beach Lofts at No. 601. A little farther north along Gerrard Street, the Ted Reeve redevelopment in the Upper Beach prompted a spate of new townhome developments that now line Gerrard Street from Main to Victoria Park. It’s main streets such as these that are designated as suitable for intensification by the City of Toronto. Called “Avenues” in the city’s new plan, these streets can support a mix of retail and housing, and are ideal for condo development. In fact, Shane Fenton, who is developing LakeHouse Beach Residences at 1962 Queen St. E. with his father, Shelley, believes that condos and retail make excellent bedfellows, because they support one another — retail provides amenities for condo residents, and condos supply more foot traffic on the street. It’s a win-win, especially if the development can promote good neighbourhoods. There’s also demand for condo buildings elsewhere in the area, but not everyone is enamoured of them, especially people who live on side streets. 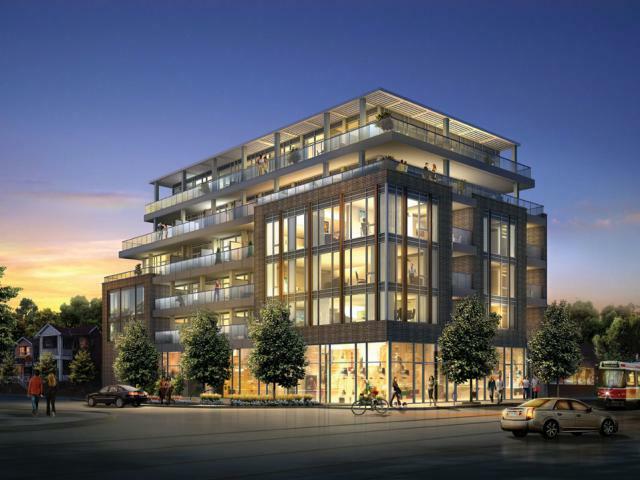 Residents of Kippendavie Avenue (now the 500-member Kew Beach Neighbourhood Association) have been fighting a proposed 83-unit condo co-op on their street for the past two years. Share your thoughts on urban planning and condo development in The Beach?